Click here to download a piece of literature on our capabilities (Adobe PDF). The metal machining depart is equipped to handle any job that comes there way. 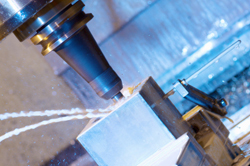 The machining department has several lathes and CNC milling center. 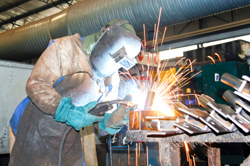 Our welding depart consist of SWPS certified welders with experiences in many different fields. 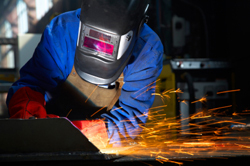 Our fabrication and machining department work hand in hand with welding to insure proper fit up and joint configuration. If parts need to be cut we can do it here at Ace. 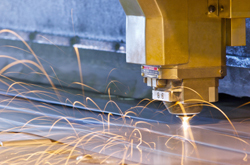 We have three processes that allow us to cut most any material and to meet any customer expectation. Our laser provides this most precise cut while the plasma allows for thicker material cuts along with the saw. We have a dedicated grinding and finishing area. We are able to surface prep any part or grind any part to a desired finish or tolerance require by our customers. 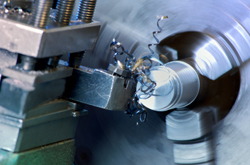 We use the latest tools and abrasives to give us the best finish for your part. 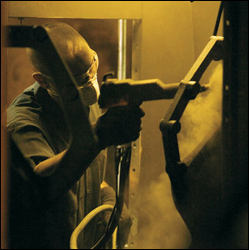 Our powder coat painting process and assembly completes our turn key manufacturing process. During our assembly process we can add any device that you need for your customer needs. Some devices include hinges, locks, heat and air conditioners, security items, and eye hooks for transportation and installation.